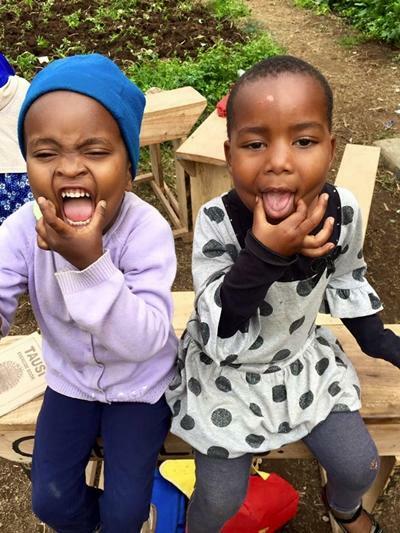 As a volunteer in a care centre you can make a positive impact on the lives of numerous abandoned children in Africa by donating your time and energy. Many of the centres are understaffed and often need an extra pair of hands to help with the day-to-day running of the home. Your work in a care centre may involve making sure the children are fed and dressed, helping with their homework and providing one to one support. 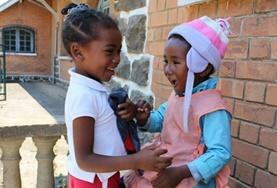 Whether you choose to volunteer in Tanzania, Ethiopia or Ghana you can make a difference to children’s lives. 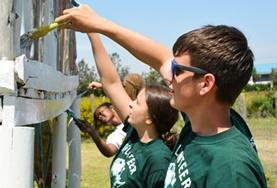 Care volunteers come during various stages of their life - gap years, at university or taking a career break. "At the centre I taught English to small groups of students, from 13-24 years old, and felt that I was able to make a real impact on their lives. They came to the centre on their own initiative and were very excited and interested in learning, and it was fun to see the progress that I helped them make. Senegal was an amazing experience and leaving the country was very hard I definitely want to do something like this again, and think everyone should. It really opened my mind and made me look at the world differently." In addition to working in care centres in Africa, there are also opportunities to work with children and adults with special needs. Volunteers are needed and greatly appreciated in care homes across Africa where you will be able to help with the day-to-day care of the residents. 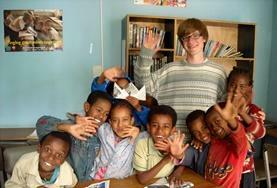 Projects Abroad work with a number of different placements such as hospices or schools for the handicapped, the blind and the deaf. By volunteering you will be able to provide an extra pair of hands. All of our placements are in need of volunteers as the staff are overworked and do not always have the time to give adequate individual attention to every patient. There are no requirements for the project; all that is required is a strong desire to help children and adults with special needs. By volunteering with children and adults you will be able to lend a helping hand and give them the possibility of living independently. 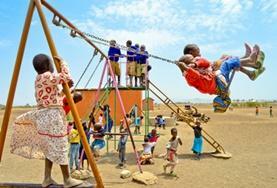 Day care centres in Africa are filled with children eager to learn from you. 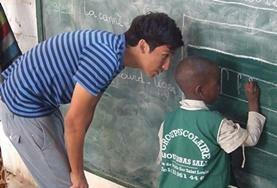 As a volunteer you will be attending to children of all different ages, from babies to teenagers. 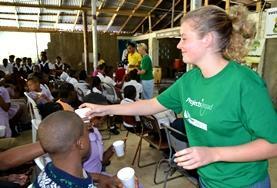 You will help prepare meals as well as assisting the children with literary skills and improving personal hygiene. 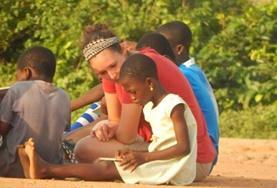 Interacting with the children on a daily and personal basis is both incredibly rewarding and enlightening. 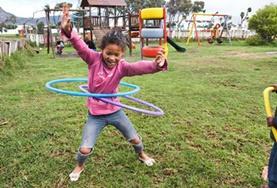 There are a number of different activities you will be able to get involved in such as art projects, games and songs. Care volunteers will be working towards the long-term development aims which are set out in our Care Management plans. 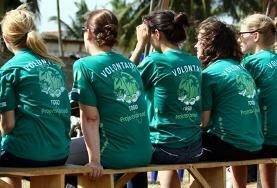 As a volunteer you can utilise your interests, talents, skills, and knowledge. 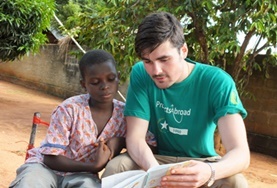 Whether it is teaching the children, helping with their homework or playing educational games, sharing your knowledge with them will make a difference to their lives. 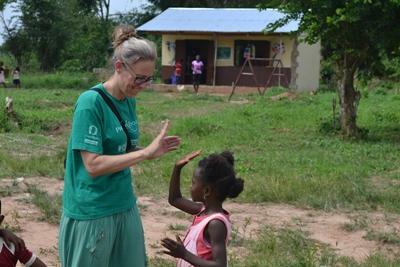 The children will leave you inspired and humbled by their energy and enthusiasm for life. Travelling overseas will give you an insight into a new and exciting world.